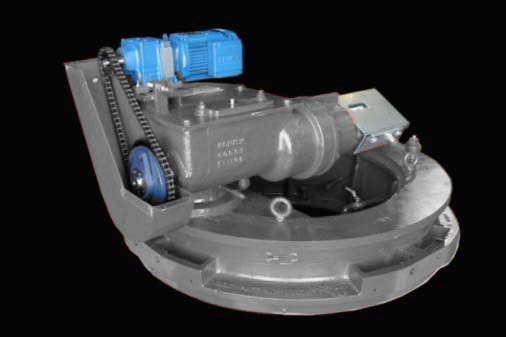 McNish Corporation Spur Gear Drives are ANSI/AGMA gear assemblies with minimum Quality Number of Q6 on internal spur gear and Q8 on pinion gear and minimum Transmission Accuracy Level of AV11 on internal spur gear and AV9 on pinion gear (after heat treatment). They include a split internal spur gear ting that allows access to replaceable bearing race inserts. Housings are machined from cast iron to provide stability, the highest level of precision and superior corrosion resistance. Output torque is rated for continuous 20-year life. The drive design and torque ratings are in full conformance with and certified to the latest ANSI/AGMA standards.